It’s officially festival season, and we couldn’t be more excited! Maybe you’ve already bought your Coachella or Stagecoach tickets, but there’s also plenty of fun to be had right here in the Tri-Valley. Check out some upcoming music festivals that are definitely worth checking out. This black-tie event has helped raise money for local charitable and non-profit organizations and international service projects for 28 years! Coordinated by the Rotary Club of Danville and Sycamore Valley Community Foundation, you can attend this elegant event in exchange for a $50 tax-deductible donation to its organizers. This year’s festival theme is “Breakfast at Tiffany’s”, and it’s sure to include classy meals provided by the finest local restaurants, and an awesome live music performance. Take a stroll through the quaint town of Danville while listening to live music by local bands, sipping on wine and tequila tastings, nibbling on delicious food samples, and viewing one-of-a-kind displays by local artisans. This year’s Art & Wine Stroll will feature both downtown Danville and the shops of the Livery; tickets to the event even include a complimentary trolley to shuttle participants to both locations! Tickets include an event wine glass, tote bag, and complimentary shuttling. Enjoy an afternoon of great beer (unlimited pours! ), gourmet food vendors (only $5! ), and live music (indoor and outdoor stages!) Better yet – drink great beer for a great cause! 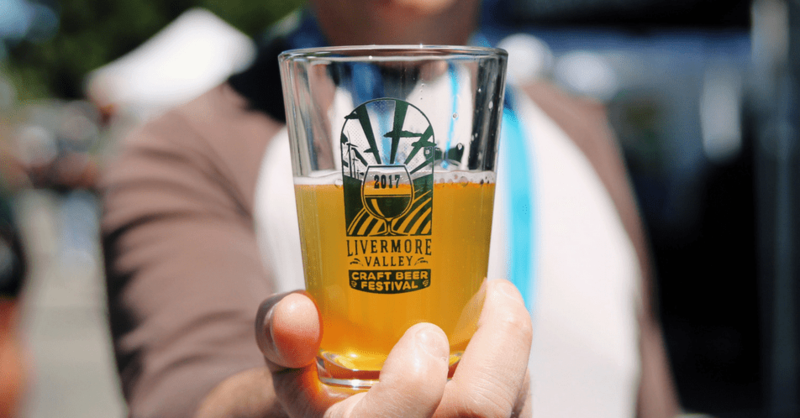 The 4th annual Livermore Valley Craft Beer Festival will be hosting 40+ local breweries and will raise funds for Shriners Hospital Transportation Fund, providing transportation of children from around the world to the Northern California Shriners Hospital in Sacramento. For additional information about this event, check out our post with more details! Join in on the largest street festival in the Tri-Valley! In addition to enjoying live music, browse over 300 vendor booths and shop downtown Livermore’s boutiques. Beer and wine tasting passes are available for purchase, allowing the pass holder access to local beer AND wine tastings with their special event glass (you read that right – both beer and wine)! One-day tickets will be available for purchase at the event, but if you’re planning on going both days make sure to purchase ahead of time online! Imagine this: it’s a hot summer day, and you’re hanging out with a cold beer in hand, in the middle of a world-class horse race track. If you attend the 4th annual Red, White & Brew Craft Beer Fest, that can easily become a reality. 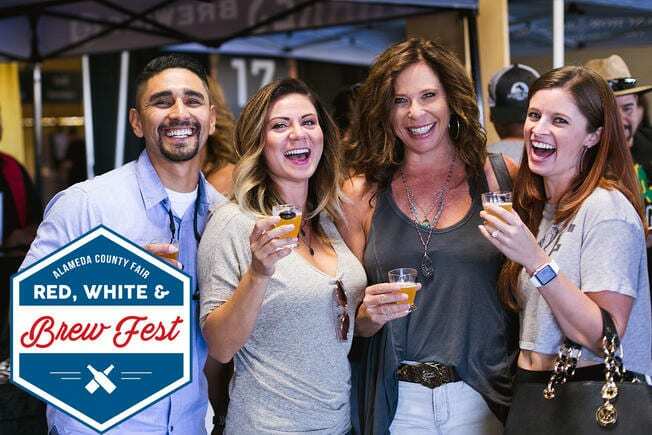 This festival showcases craft beer from the Tri-Valley, so it’s perfect for those who want to discover our craft beer scene, or for those who just want to taste some of their hometown favorites. Buy tickets today and save $5 on admission price until May 1st. Tickets include admission to the fair, a commemorative event glass, exclusive infield racetrack access, and a racing program and tip sheet.